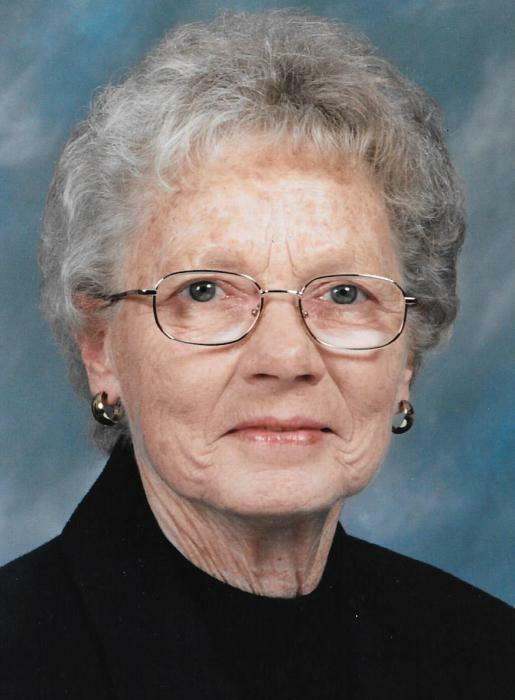 Betty Lou Hinderlider, 83 of Kewanna, passed away peacefully at 5:40 a.m., Monday, November 26, 2018 at Hickory Creek in Winamac. Born January 29, 1935 in Pulaski County, she was the daughter of the late Elmer and Lucy (Beauchamp) Peters. On October 11, 1952, she married Kenneth A. Hinderlider. He preceded her in death on October 25, 2003. Betty had been a former custodian at Kewanna School. She also worked for many years at Switches/Federal Mogul in Leiters Ford and she also formerly worked at Village Market in Kewanna. She was a member of the Eagles Lodge Women’s Auxiliary, Winamac, a former member of VFW Post #1121 in Kewanna. She attended Kewanna United Methodist Church. Survivors include her daughter, Cynthia Bowyer (Daniel) of Kewanna, son, Kevin Hinderlider (Mary) of Rochester, sister in law, Evelyn Peters of Kewanna, grandchildren, Brock Hinderlider (Leah), Justin Bowyer (Crysta), Nick Hinderlider (Amber), Seth Bowyer (Amber), Ethan Bowyer (Amanda) and Cole Hinderlider and 16 great grandchildren. She was also preceded in death by son, Steven A. Hinderlider, brother, Elmer “Sonny” Peters and sister, Pauline Shidler. Services will be held at 11:00 a.m., Friday, November 30, 2018 at Harrison-Metzger-Rans Funeral Home & Crematory, Kewanna Chapel with Rev. Todd Wilson officiating. Visitation will be held from 5:00-7:00 p.m., Thursday, November 29, 2018 at the funeral home. Burial will be at Citizens IOOF Cemetery in Kewanna.